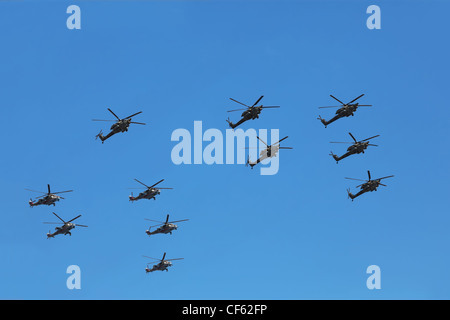 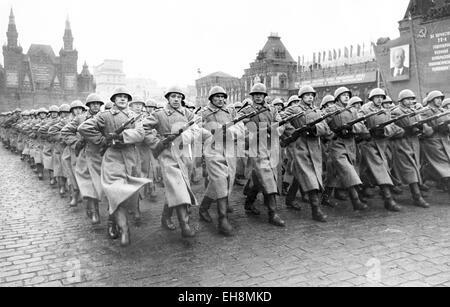 MOSCOW VICTORY PARADE 24 June 1945. 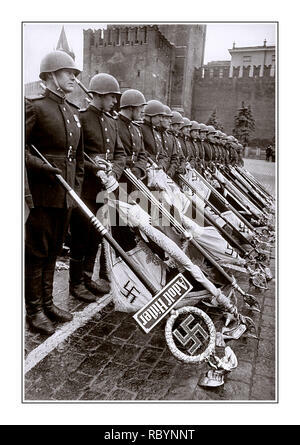 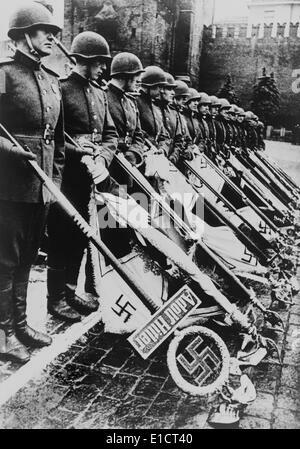 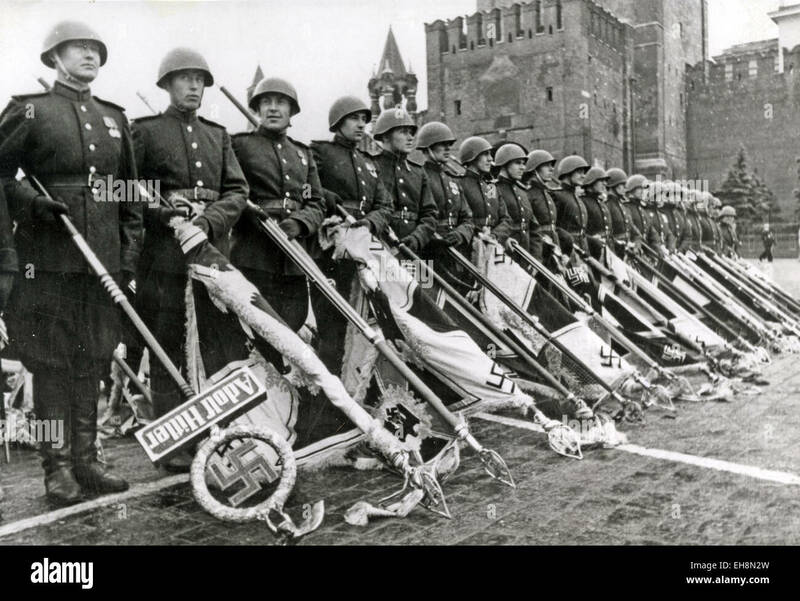 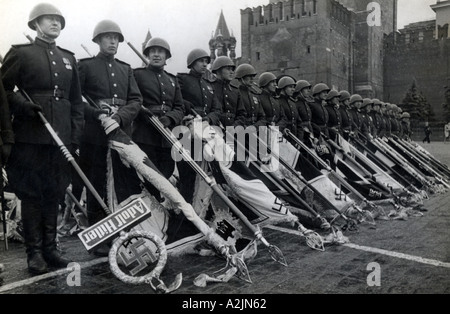 Soviet soldiers with captured Nazi Colours. 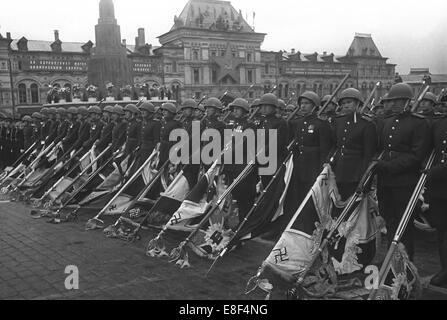 ITAR-TASS: USSR, MOSCOW. 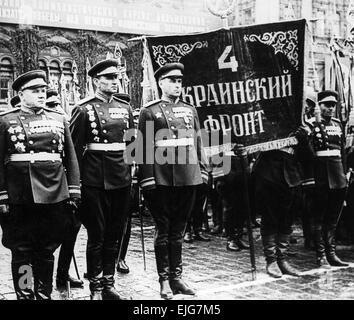 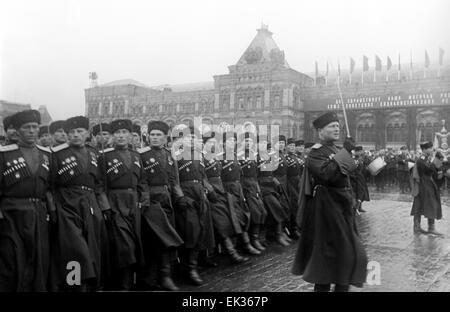 Cossacks are marching in Victory Parade on 24 June 1945, held in Red Square. 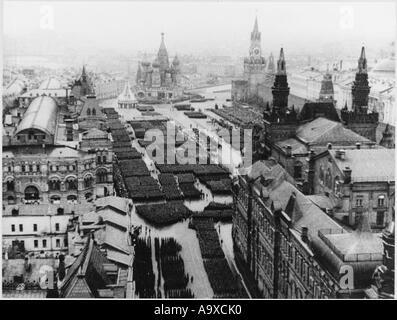 The Moscow Victory Parade, June 24, 1945. 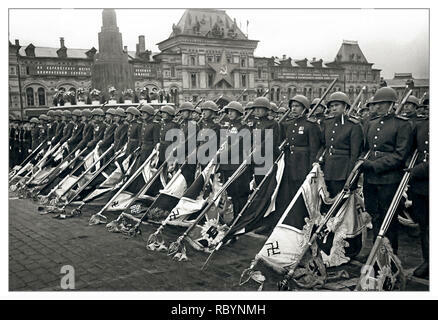 Museum: Russian State Film and Photo Archive, Krasnogorsk.